India Mobile Congress (IMC) 2018 began on a grand-scale at Aero City, New Delhi with over 300 companies, 20 countries participating in this prestigious event in the Asia Pacific region. Shri Manoj Sinha, Minister of State (Independent Charge) for Communications and Minister of State for Railways, accompanied by Shri Ravi Shankar Prasad, Union Minister of Electronics and Information Technology and Law & Justice, Shri Suresh Prabhu, Union Minister of Commerce & Industry and Civil Aviation, Shri Hardeep Singh Puri, Union Minister of State (Independent Charge) for Housing & Urban Affairs, Ministers and dignitaries from Cambodia, European Union, Lao-PDR, Myanmar, Mauritius, Nepal, South Africa inaugurated and participated in this 2nd edition of the epoch marking event, which began in 2017 to build a collaboration platform for technologies and services in next generation mobile communications. The inauguration ceremony was attended by over 5000 people from 10 partner countries, and included policy makers, ambassadors, opinion makers, change agents, bureaucrats and investors. 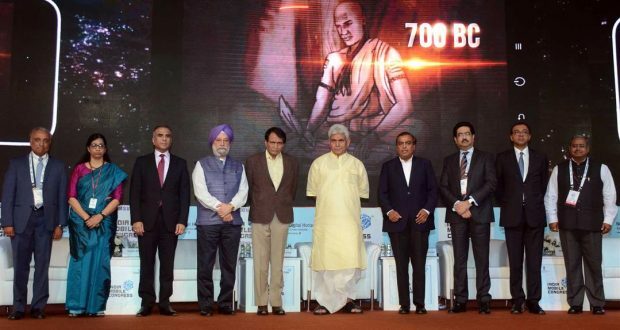 Shri Manoj Sinha, announced that the Indian telecom industry will rollout one million WiFi hotspots in the country by December 2019, which is another step towards the digital empowerment of the nation. 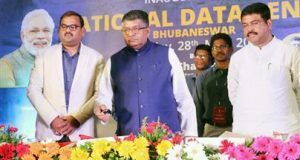 Bharat Wi-Fi, a country-wide common inter-operable platform of one million Wi-Fi Hotspots, owned and operated by Telecom Service Providers, Internet Service Providers and Virtual Network Operators will be rolled out across the country. This initiative allows consumers to access Wi-Fi Hotspots of any of the partnering operators.